For your peace of mind, our locksmiths will arrive in a Keyway company vehicle and a Keyway uniform! At Keyway Lock & Security we are your local locksmith in Chicago. 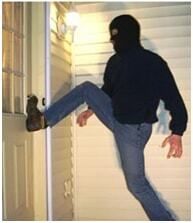 We provide emergency locksmith services for auto, residential and commercial locks. 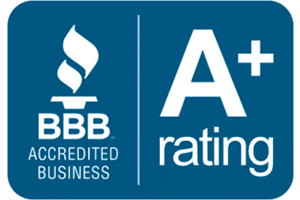 We are licensed, insured, members of ALOA and work with insurance companies like Geico and AAA. We only hire skilled technicians so you can ensure your work will be done correctly – just check out some of our locksmith reviews on Google and Yelp. Additionally, for your safety, our technicians arrive in marked Keyway Lock & Security vans and uniform, so you’ll know it’s us! We all know it’s an inconvenience to be locked out of your home, office or car, but when you do a little research to find the best emergency locksmith in Chicago, it can save you a lot of grief and money. In case of an emergency outside of our normal business hours of 8:30 am to 6:00 pm Monday – Friday and 9:00 am to 2:00 pm Saturday, we provide Emergency Service 24 Hours A Day. Please call (800) 863-5397 for Emergency Service. Quality locks ensure the safety of our homes, businesses, and vehicles. But when you accidentally lose your keys, you might need the services of an emergency locksmith in Chicago. Can they give you a solid quote over the phone? Do they have any additional affiliations for insurance purposes? 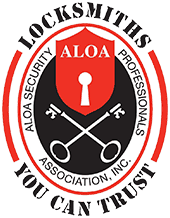 There are a number of fake locksmiths operating in the Chicagoland area and a number of them do not have local addresses, therefore, when searching the internet or when you call, ensure that they have an address. Ask friends or family if they know of a reputable locksmith, or for any locksmith that you’ve found on your own, check out their reviews on Google Local, Facebook, and Yelp. These are great resources that will give you an indication of their work ethic, service, and style.